Biblioteka Analiz Sp. z o.o. (Ltd) formally operates since March 2002 but it continues the output of two other firms – Magazyn Literacki Sp. z o.o. and Biblioteka Analiz that since 1995 gathered all kinds of data about various sectors of the Polish book market. At present we are the only firm in Poland with such a large collection of data on the Polish book market. We are also the biggest and the most famous consulting firm operating in this branch. During the last few years we prepared a great deal of analyses, researches and experts’s reports for many companies; we also gave advisory services. The list of our clients includes such firms as: Reader’s Digest, Hachette Livre, Bertelsmann, McKinsley, WestLB, Onet.pl, Young Digital Poland, BTW, Znak, Forum, Polskie Wydawnictwo Muzyczne, Helion, LektorKlett, Pracownia Pedagogiczna i Wydawnicza, Josef Raabe and many others. For example we analysed: sector of direct book sales, sector of educational book (e.g. quality of the offer, quality of the staff, methods and efficacy of sales, potential development), book prices. We also gave services concerning investment consulting. All these activities are run by the separate branch of the firm – Centrum Badań nad Rynkiem Książki (Centre for Book Market Research). Our firm employs 17 persons- the first class experts on the book market analyses. Some of our reports are published in book form. We also release two magazines and run our own web portal (www.rynek-ksiazki.pl). Data on production and sale value on the whole Polish book market for years 1990-2006 divided into sectors (e.g. fiction; children’s books; cartography including school cartography, tourist cartography and wall maps; foreign language learning books – English, French, German, Italian, Spanish; textbooks; English-Polish and Polish-English dictionaries, etc.) and key companies operating in these sectors in production as well as wholesale and retail trade. Some of these data are published each year in our annual report “Rynek książki w Polsce” (“The Polish Book Market”), which is the basic source of information about this branch for most of banks and financial investors. Thorough information about number of published and/or sold copies of the most popular titles from fiction, encyclopaedias, how-to books, road and tourist maps in division into series, publishers and channels of distribution. Some of these data are published in our monthly “Magazyn Literacki KSIĄŻKI”. Complete financial reports (i.e. balance sheets and other documents, in some cases accompanied with auditors opinions) of over 100 publishers, wholesales and retail networks dealing with book production and sale for years 1998-2005. Continuously enlarged and updated data base about Polish bookshops (addresses and telephone numbers, trade space, number of offered titles, profile and specialisation, employment, ownership structure, annual income). The base automatically installs on the hard disc. The program enables users to sort records according to various criteria (town, region, annual income, number of employees, number of offered titles, trade space), to register co-operation with bookstores and print addresses on envelopes and labels. Comparative price analyses concerning key products (the most popular books, textbooks, maps, atlases and tourist guides) in division into different channels of the open market (wholesalers, bookshops, supermarkets). Some of these data are published in our monthly “Magazyn Literacki KSIĄŻKI”. Address data base of over 14 000 libraries in Poland; records can be sorted according to thematic criterion as well as organisational structure of a library. The base automatically installs on the hard disc; it enables users to sort records according to various criteria, to register co-operation with libraries and printing addresses on envelopes and labels. Address data base of nearly 5 000 publishing houses in Poland; it enables users to sort records according to various criteria (e.g. town, region, name, ISBN numbers) and print addresses on envelopes and labels. E-mail address data base of over 300 publishers, wholesalers and bookstores; we offer low-cost mailing services to firms operating on the Polish book market; presently we are preparing e-mail address data base of Polish libraries. A large collection of short book reviews (a couple of thousands records) from different branches, published in years 1998-2006 in the monthly “Magazyn Literacki” (later “Magazyn Literacki KSIĄŻKI”), including ISBN numbers. Results of marketing and sociological researches run by different scholar and branch centres in Poland since the half of 1990-ties, concerning readership, book sales etc. Moreover, since May 2002 we have started to build a data base covering all books published in Poland (books in print). Until 2006 we have gathered over 10 000 records of educational books and over 5 000 of business books; records are formed in accordance with bibliographical standards of EU. Finally the base will consist of 120 000 records. A yearly “Rynek książki w Polsce” (since 1998). 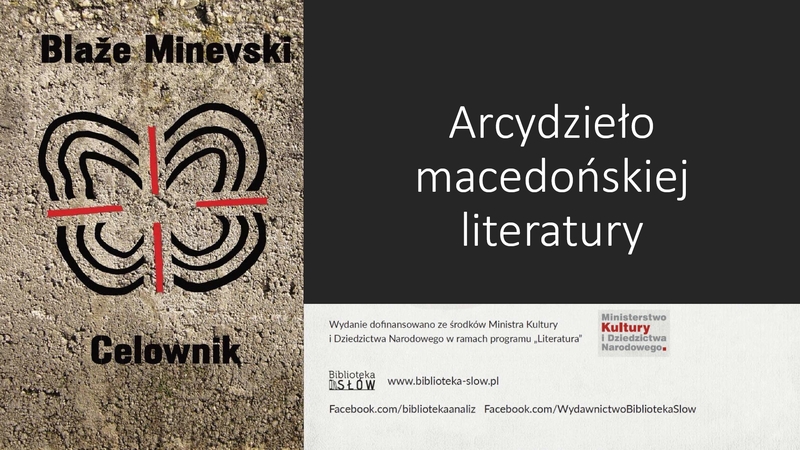 We run our own web site (www.biblioteka-analiz.pl) and a payable Internet service (www.rynek-ksiazki.pl), which covers archival information about key players on the Polish book market. A year’s subscription fee amounts 900 PLN.